Join the Junior League of Los Angeles as the Legacy Leadership Circle presents Tori Murden McClure, the featured guest, for the inaugural LLC Distinguished Speakers Series. Tori will deliver thoughts on self-empowerment and how women leaders of all ages can overcome major obstacles in order to achieve their short and long term goals. Tori’s perspective is grounded in her own life lessons as the first woman to row solo across the Atlantic Ocean. 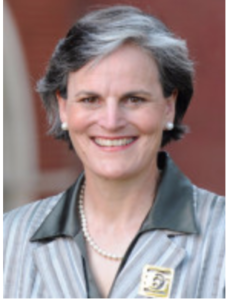 Tori Murden McClure is the president of Spalding University, in Louisville, Kentucky. An outspoken critic of the disparity in higher education today and always promoting the transformational power of education, Tori holds a Bachelor of Arts from Smith College, a Master of Divinity from Harvard University, and her juris doctorate from the University of Louisville’s Louis D. Brandeis School of Law. Her non-fiction book “A Pearl in the Storm” was published by Harper-Collins in 2009. The Junior League of Los Angeles invites you to an exciting evening to learn from and be inspired by Tori Murden McClure who encourages individuals to seek greatness through learning and to use their talents and skills to contribute to their own communities.